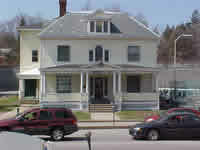 Welcome to the Brattleboro Masonic Lodge's website. Feel free to browse anywhere. If you have any events coming up in your lodge, please add them to our calendar. Masonry is the world's oldest and largest fraternity for men. Although the details of Masonry's beginnings are lost, it is certain that in 1717 four lodges met in a London coffeehouse and formed the first Grand Lodge or association of lodges. Brattleboro Lodge is now allowing public usage of the lodge for gatherings, reception and other function needing a large gathering room and kitchen. For information regarding the use of the building, contact the steward at brattleboro102steward@gmail.com or call at (802) 254-4801. Although the actual origins of Freemasonry are clouded in the mists of antiquity, it is widely agreed that Masonry dates back to the late fourteenth century and flourished during the middle ages when guilds of Operative Masons traveled throughout Europe building the great gothic cathedrals. Apprentices were taken in and taught the craft by Master Masons who passed on the secrets of the trade. As building declined, the guilds began to accept members who were not actually stone Masons. From these roots evolved Speculative Masonry, as we know it today. Ritual, that is, the initiation of candidates conducted within each lodge has been the same work that's been done for hundreds and hundreds of years. Every Mason, on earth, has been led through the same traditions and instructed in the same mysteries and secrets of Freemasonry. But, make no mistake Freemasonry is not a secret organization. If it were, our buildings would not be easily identifiable and our members would not wear rings and other jewelry with the familiar square & compasses emblem. Feb 22, 2018 - Congratulations to our newest Master Mason, Brother Michael Manning, who was raised this evening! 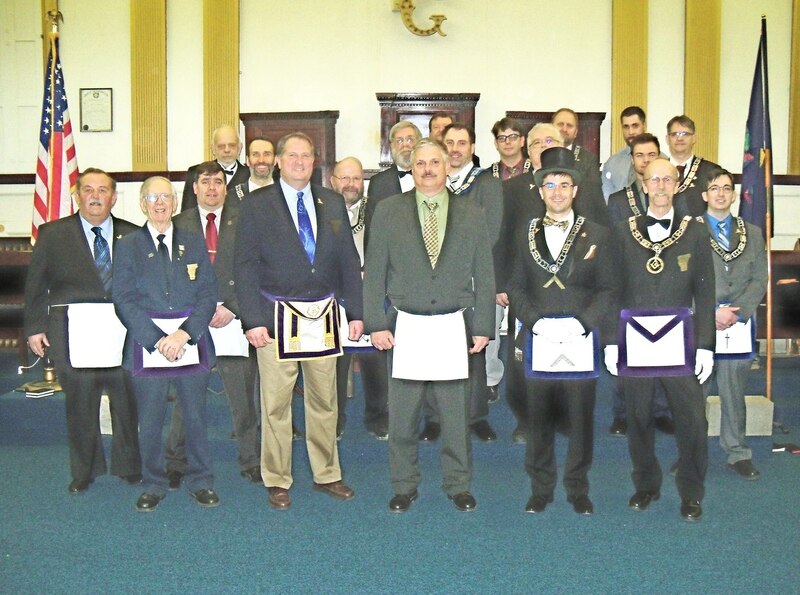 April 27, 2017 - The 136th Installation of Elected and Appointed Officers for Masonic Year 2017-2018 was held at the Brattleboro Masonic Hall. 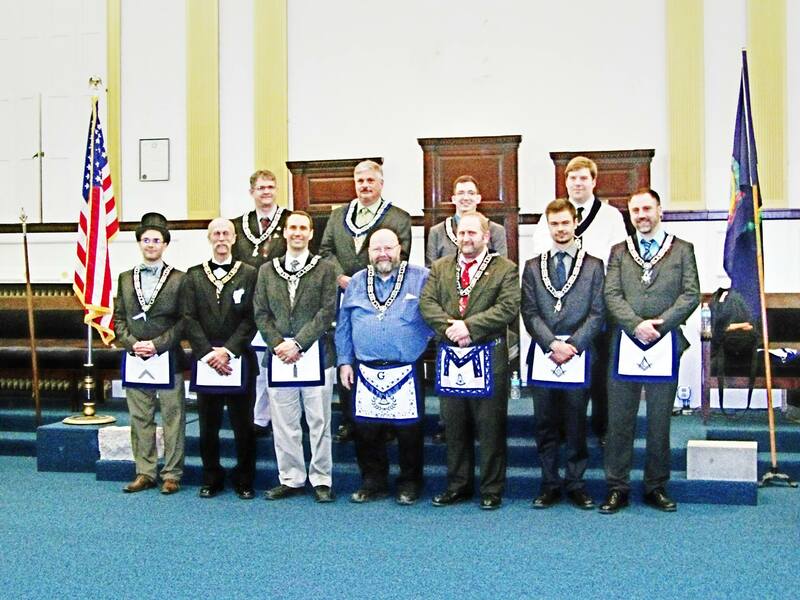 Installing Master Worshipful Robert Baldauf and Installing Marshall Right Worshipful Steve Farrington. BACK ROW: Bruce Jackson; Sr. Steward, Ron Hubbard; Jr. Steward, Ben Tuttle; Marshall, Howard Cosell; Digital Organist, Heath Kurra. 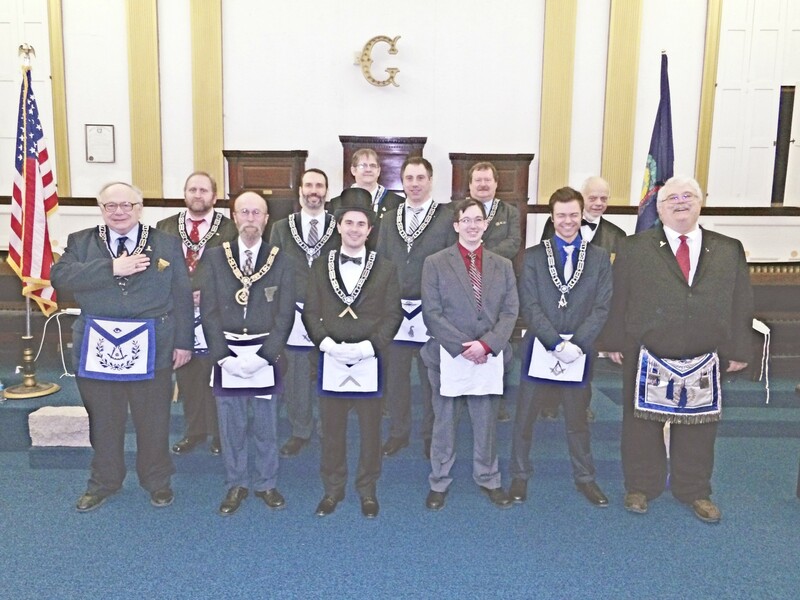 FRONT ROW: Jeffery Anderson-Burgos; Worshipful Master, Rob Baldauf; Senior Warden, Kris Johnston; Phil Bailey; Treasurer, Junior Warden, Edward Morse; Secretary, Austin Kenny; Senior Deacon and Mark Scherlin; Junior Deacon. Not present were: Harral Hamilton; Chaplain and Seth Pichette; Tyler. Mar 30, 2017 - Bro Ron Hubbard, receives his Master Masons Degree. 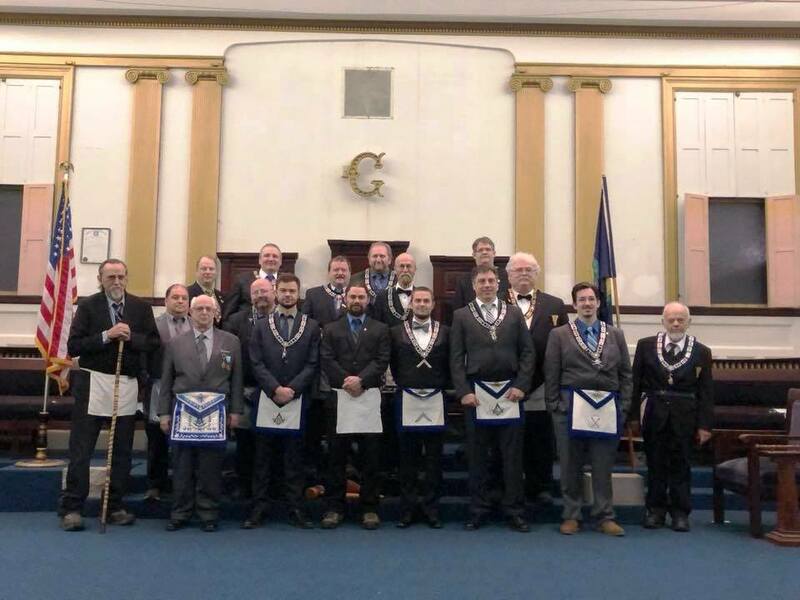 FRONT ROW: Ed Wilson, Grand Master George Deblon, Ron Hubbard, Worshipful Master Jeffery Anderson-Burgos, District Deputy Grand Master Robert Baldauf. SECOND ROW: Dennis Start, Dennis Wilson (Sponsor for Ron Hubbard), Kris Johnston, Phil Bailey, Mark Scherlin, Jon Hall, Austin Kenney, Ben Tuttle. Feb 2, 2017 - Bro Benjamin Tyler Tuttle, receives his Master Masons Degree. Officers Meeting - Finalize float and parade plans for 4th of July. June 16, 1881 A.D., 5881 A.L. "May God Bless all our departed Lodge Brothers and may he watch over their families..."
Copyright � 2008- Brattleboro Lodge #102 F&AM, All Rights Reserved.